Links to all this year's bulletins and Robert's reflections from January 2014 onwards. Archives available on sub pages. 14th August no issue the editor was on holiday! 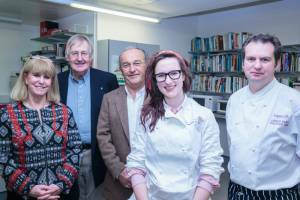 Chloe Wallser Young Chef of the year together with judges and President Toni. An update from President Toni on current events for members.